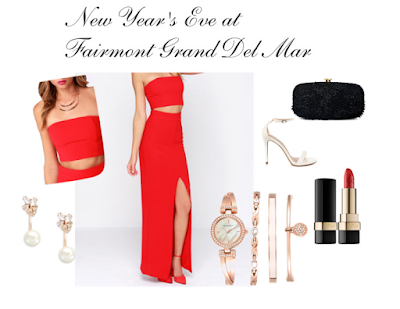 To wrap up the year, the Fairmont Grand Del Mar, in San Diego, is having their Grand New Year's Eve party. Imagine going to a New Year's Eve party located at one of the most luxurious hotels in California. Now who doesn't love the West Coast? California is known for its warm weather, the beaches, the music, the food, the nightlife, and so much more. What I really care about is the fashion. The vast variety of styles you see is exalting, and they are very inspiring. So what would you wear to an event like this? Would you prefer going in a casual, yet dressy, attire? Or would you go all and out, glam-mode? You can go with either or; it is all up to you. New Year's Eve parties are generally formal, but not too formal. You want your outfit to look formal, but you also want it to say "I'm here to party!" That is why a cute, formal, blouse with trendy pants would not look too bad if you are going for that casual look. A jumpsuit would look gorgeous, too. Another great option is a dress. There are so many dresses you can choose from that would be perfect for an event like this, wether it's short, long, or mid-length. Dress (alternative): As you can see, I chose a short dress to show what I would wear to the party. I chose a short dress because I love to dance, therefore I am not going to be one of those people that stands to the side and watches everyone else dance; I'm going to be dancing all night. A long dress would not be too comfortable for that. Now, "Grand New Year's Eve party" is translation for "Glam it up, dress to impress, and look fabulous." There's nothing like a sparkly dress that can make you look glamorous. I'm not a huge fan of sequins, or embellishments, but they are necessary for a New Year's Eve party. They are decorative details that make you stand out and shine, making it perfect for this event. Shoes: These pointed, black and gold heels are a perfect choice for this dress, since it is black and gold. With a shimmery dress like this, it is best to wear simple shoes with a solid color or colors. Shimmer everything is a bit too much. Accessories: Since the dress has a lot going on with it, I don't want to overdo my accessories. I am wearing gold earrings, one is an ear cuff and the other is a stud. I am not wearing a necklace though. For an outfit like this, a necklace is nothing to worry about. A couple of bracelets don't look too bad, but it is also nothing to worry about. The cherry on top, for my outfit, is the furry shawl I am wearing along with my dress. The shawl makes my outfit look much formal, but my dress has "I'm here to party!" written all over it. Like I said before, formal...but not too formal. Below this paragraph, are two other outfits I would also consider wearing. I said I would not wear a long dress to a party where I will be dancing most of the time, but the two-piece outfit with a maxi skirt is very intriguing; I just love it. Jumpsuits are great for events where you don't have to worry about being too casual or too formal. It is a perfect in-between. I hope this post is helpful and enjoyable. 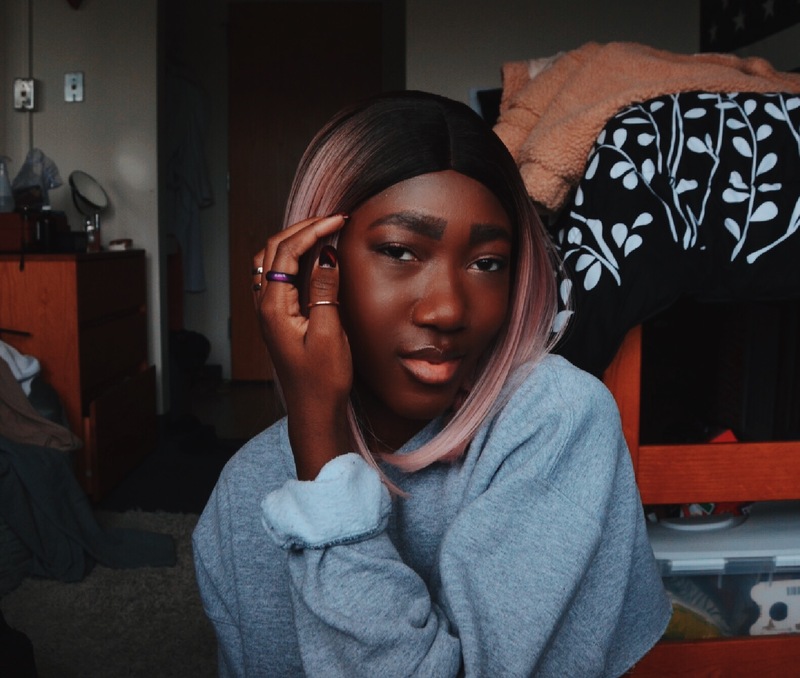 Please leave any suggestions or comments below; I love learning about different fashion perspectives. I believe it makes inspiration widespread. Next time you are in California, specifically the San Diego area, you can book a stay at the Fairmont Grand Del Mar and have a spa day. This hotel seems like the perfect place to go away with friends and just relax. I am m always so excited to read your posts, and this is by far my favorite. I felt as if I could relate to everything you said. Your writing is amazing, keep up the good work! Thank you for taking the time to even look at my blog! I really appreciate it. This is an adorable post - I love what you did with the different styling options!